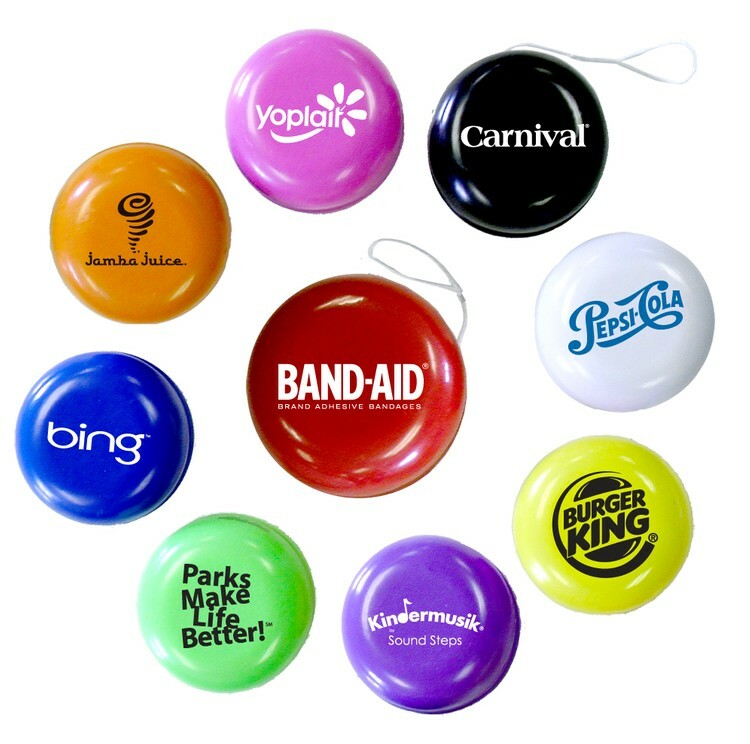 Add fun and energy to your events with our fashionable yo-yo in bright colors... This delightful yo-yo is approximately 2" in diameter and available in bright fashionably colors of: red, blue, green, orange, pink, purple, black, white and yellow... Perfect for tradeshow giveaways, children's events, outdoor events and many other occasions... Eco friendly, made from 100% recyclable materials. • Imprint Area: Circle w/diameter of 1.5"